Sea Star Festival is a Croatian music festival from the team behind EXIT and Sea Dance. 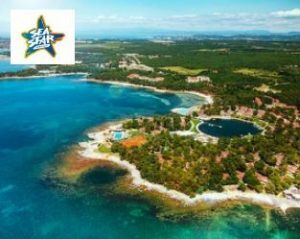 Taking place at the lush Stella Maris resort on the Croatian coast, Sea Star lays on a line-up that spans the genres, and was one that included The Prodigy, Fatboy Slim and Paul Kalkbrenner in 2017. That edition was also the festival’s first, and has paved the way EXIT’s advance across Europe, bringing its infamous and wild parties to some of the continent’s most beautiful locations. That means beyond the music, festival-goers are encouraged to explore the surroundings of Umag, famed for its rich Mediterranean spirit and historical architecture, while also taking advantage of the local cycle paths that span the coastline.